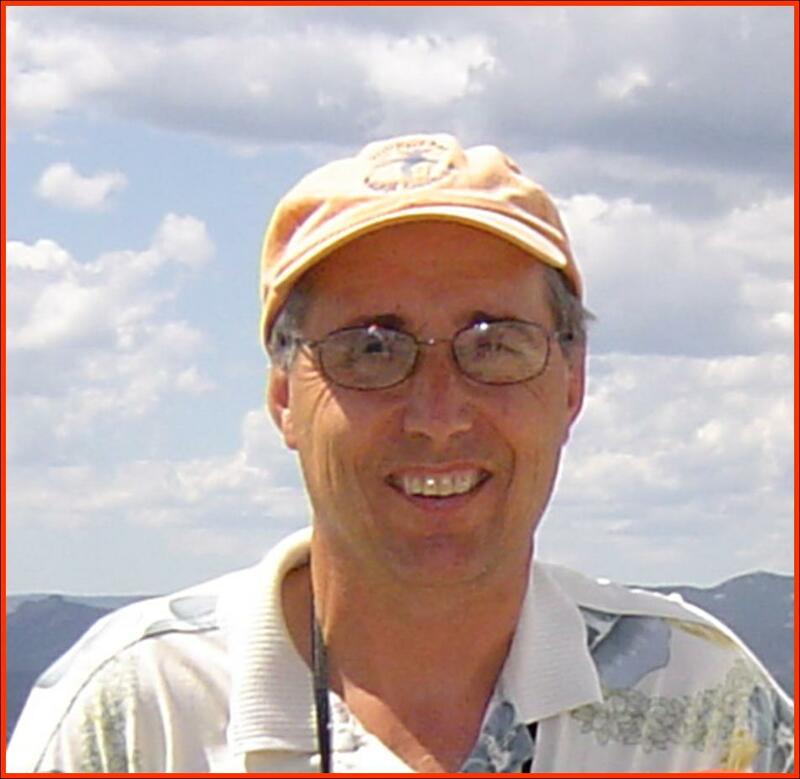 Mark Davis is Professor of Biology at Macalester College in St. Paul, Minnesota. He is one of the first academic ecologists to publicly express skepticism of invasion biology. His book, Invasion Biology, was published by Oxford University Press in 2009. It was the first critique of invasion biology written by an academic scientist. Professor Davis cites the many empirical studies that find little evidence supportive of the hypotheses of invasion biology. In 2011, Nature magazine published an essay written by Professor Davis and 18 coauthors entitled, “Don’t Judge Species on their Origins.” This essay suggested that conservationists evaluate species based on their ecological impact, rather than whether or not they are natives. The essay initiated an intense debate in the academic community of ecologists that continues today. 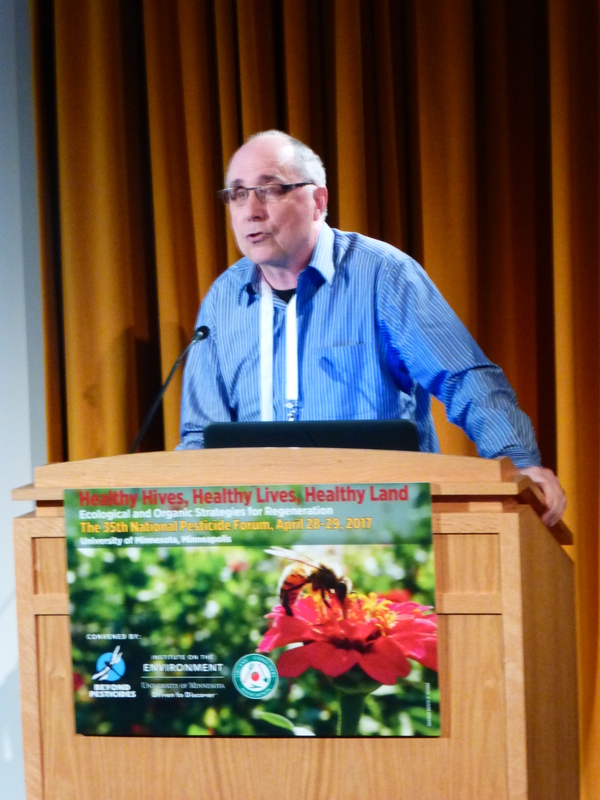 Professor Davis spoke at the Beyond Pesticides conference in Minneapolis at the end of April 2017. (Video available HERE) He described invasion biology as an irrational ideology that is based on nostalgia for the past and a belief that wildlands are being damaged by “alien invaders.” In fact, the perceived damage is largely in the eye of the beholder, depending largely on one’s membership in a group benefiting from the nativism paradigm, such as chemical manufacturers, conservation organizations, government agencies, and employees. Some academic careers are also at stake. Futile attempts to re-create historical landscapes always have the potential to make things worse. In many instances, it is more sensible to change one’s attitude about the changing landscape than trying to change nature. Has the status of invasion biology changed much since Nature published your essay 2011? Has increased knowledge of climate change had an impact on the status of invasion biology in academia? What do you think is the future of invasion biology both as an academic discipline and as public policy? Professor Davis’s guest post addresses these questions. We are grateful to Professor Davis for his many contributions to our understanding of the fallacies of invasion biology and for his thoughtful guest post. In the past few years, a new perspective has been taking hold in the field of ecology. Referred to as ‘ecological novelty’ it emphasizes that many factors are producing ecologically novel environments. 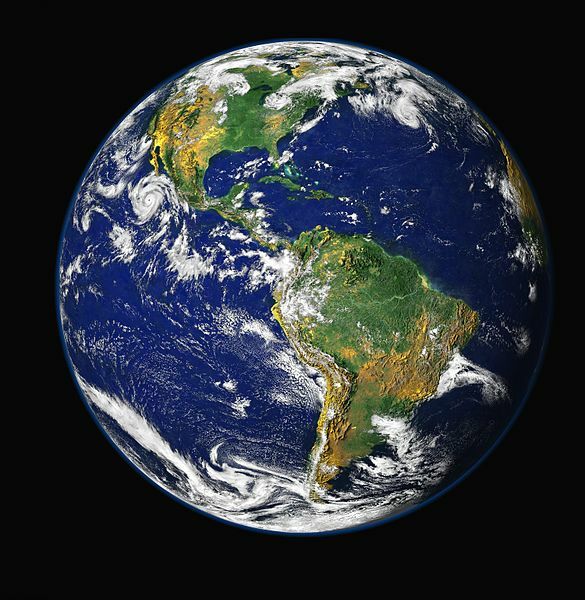 Climate change (which includes changes in temperatures and patterns of precipitation), increased atmospheric carbon dioxide, which affects photosynthetic rates, increased atmospheric deposition of nitrogen (the whole earth is being fertilized due to the increased nitrogen we are pouring into the atmosphere), and the introduction of new species are all rapidly changing our environments. A strength of the term ecological novelty is that unlike the invasion vocabulary it is simply descriptive. It simply states that ecosystems are changing and are different than they were in the past, even the recent past. It says nothing about whether this change is good or bad. In this paradigm, species can be referred to as novel species, new arrivals, or long-term residents. The less biased ecological novelty paradigm differs dramatically from the more ideological nativism paradigm. It differs in the language it uses and it differs in the implied direction that land management should proceed. More generally, it forsakes the normative atmosphere that permeates restoration ecology, conservation biology, and invasion biology, all of which have been substantially guided by the nativism paradigm. Currently, invasion biologists are trying to discredit ecological novelty as a valid or valuable perspective. This is hardly surprising since the ecological perspective would displace the nativism paradigm, and many stakeholders have much to lose if the nativism paradigm were abandoned, e.g. chemical companies, restoration and management companies, local, state, and national agencies, to name just a few. Not surprisingly, articles trying to shore up invasion ecology and to keep it relevant have been common in recent years. While the public may not be aware of it, there exists a heated competition to define nature. Which side wins will significantly determine how nature is managed. Given that the redistribution of species is only going to increase in upcoming decades, it is hard to imagine that people will still be so preoccupied with origins by the middle of the century. Like the notion of wilderness, the nativism paradigm is more of a twentieth century concept, while the construct of ecological novelty is more fitting for the twenty first century. Undoubtedly, nativist groups will still exist and will still be preoccupied with trying to restore their vision of the past. But, due to the number of species being moved to new regions, much more attention likely will be given to the function of species than their origins, if only for pragmatic reasons. For people coming of age now, cosmopolitanization is the new normal, both with respect to people and other species. We will still carry our predispositions to divide the world into us and them, but it should be clear to most that the nativism perspective will be obsolete and that beyond the creation of museums, restoring the past will not be possible, whether a city or a forest. INVASION BIOLOGY is the misguided construct of ecological illiterates lacking geospatial cognition at levels necessary to study ecosystems empirically through mapping and modelling … Ecology is a spatial science focusing on the study of “ecos” ~ habitats and their communities ~ habitats and ecosystems only exist as complex open systems ~ making linear cause and effect analytical methods for studying them strictly invalid! INVASION BIOLOGY is another branch of human warfare against Nature ~ where the jargon of human warmongering is routinely employed against Nature to vilify the “target enemy” ~ Pests, weeds and wildlings are strictly for killing by self acclaimed “weed warriors” using biological, chemical and mechanical weapons of ecological destruction! From an ecosystem perspective, pests, weeds and wildling trees are Nature’s Guardians ~ fixing the ecological messes and mistakes of bad farmers and incompetent cultures. Of course research communities of Homo academicus hubrisitis var. living off the invasion biology funding gravy train will probably disagree! Thanks for this extremely interesting guest post by Mark Davis. I would miss so much if it were not for this Million Trees blog. I think you are being grossly unfair about invasion biology. First, there is no doubt that some invading species have created absolute havoc with ecosystems and with human economies, e.g. fungal diseases killing whole tree species, zebra mussels, seaweeds, jelly-fish, mammals killing native birds in New Zealand, etc. Webmaster: If Patsy would read any of the books that have been published about the fallacies of invasion biology, she would know that most of the examples she provides of species that have “created havoc” in ecosystems have been discredited. For example, zebra mussels are filter feeders that have cleared many lakes of pollution and are providing food for diving birds. There are two new studies that compared native and non-native marsh grasses and aquatic plants with respect to the ecological services they provide and find “no significant differences” with respect to their value in ecosystems. Attempts to kill mammals in New Zealand are killing as many birds as they are mammals. 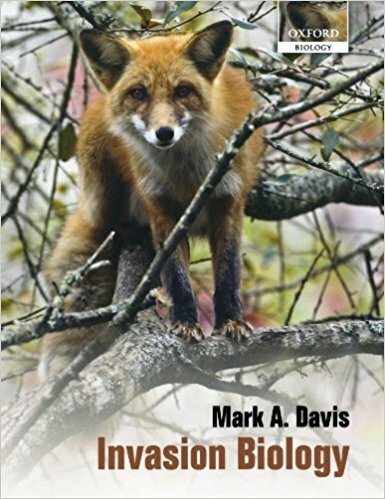 Killing plants and animals have inevitable unintended consequences, as Mark Davis explains. Second, what is wrong with trying to preserve native ecosystems on a small scale where feasible even if they are increasingly becoming living museums? They serve as reference points, they provide ecosystem services, they support diversity, they are still supremely adapted to the climatic and edaphic conditions under which they live, they have lots to teach us. Webmaster: Mark Davis agrees with Patsy that creating small native plant museums may be both possible and worthwhile. He says as much. Unfortunately, that is NOT what is happening. 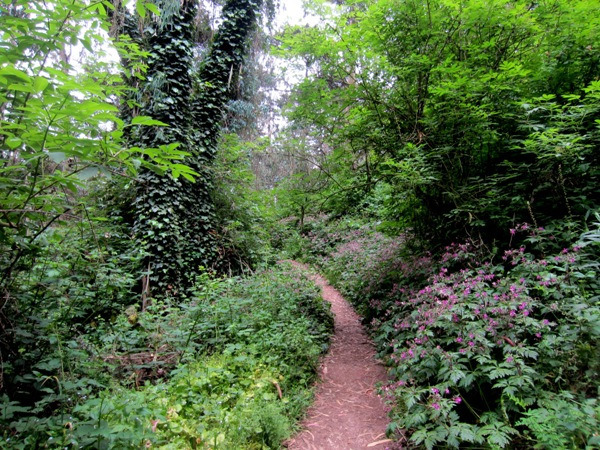 For example, in the City of San Francisco, one-third of all public park land has been turned into native plant museums, where herbicides are used and the public is confined to fenced trails for their recreation. EO Wilson has proposed that half the earth be devoted to “protected areas” where “non-indigenous” humans are excluded and native ecosystems are restored and preserved. Third, what proportion of humanity has a vested interest in promoting invasion biology as you try to suggest? A very small one. Chemical companies are mainly concerned with agriculture – preventing weeds causing enormous losses in food production; what has this got to do with invasion biology and what’s your solution to this problem? Government-supported agencies that are engaged in restoration are, at least in Alberta, doing it to try to restore (or maybe just reclaim) large tracts of land that have been despoiled by industrialization, often to provide habitat for endangered species, e.g., woodland caribou. It may be a lost cause, but they won’t know until they try. As for the invasion biology “gravy train”, show me the evidence. How many invasion biologists are there, compared to say, medical doctors? Webmaster: Yes, chemical companies sell a lot of pesticides to agriculture. That is a market that is declining because consumers prefer organic food and farmers are responding by turning their fields into organic farms. The use of chemicals for “weed control” on public lands is becoming an increasingly important market for chemical companies. The California Invasive Plant Council conducted a survey of land managers about the methods they use to eradicate plants they consider “invasive.” Ninety-four percent of land managers are using herbicides to control plants they consider “invasive.” Sixty-two percent are using herbicides frequently. One wonders why we might need as many invasion biologists as we need medical doctors who provide medical care for 7 billion people. No, of course there are not as many invasion biologists as there are medical doctors and that is entirely appropriate. I will however concede your point that species should (or could) be evaluated for how they function (e.g. do they form monocultures or massive populations that drive out native species and drive down diversity and ecosystem function?) as opposed to their origins, and that many naturalized species will come to be accepted as natives. I would agree too that not all non-native species should be regarded equally. I’ll also agree that novel ecosystems are already a dominant form of land cover and are only likely to become more so. But please, stop politicizing this issue, stop the hate literature against “nativists” and accept that both sides in the debate have their valid points. Let’s not talk about “winning sides” but let scientific evidence determine attitudes and paradigms. I will say though that at the level of international agencies conservation of biodiversity(original, native biodiversity) is a major entrenched paradigm, and I believe that’s as it should be. Webmaster: As long as it is the “entrenched paradigm,” you will continue to hear from critics of that paradigm. Both sides have not been heard from. It is our mission to make another viewpoint available to the public. We are providing sound scientific information that is not “political” and we will continue to do so until public policy reflects a balanced view on this issue. Patsy’s use of the word “political” is inappropriately being applied to a viewpoint with which she disagrees. Thank you so much, Mark and Million Trees for this wonderful post. It is so needed. People need to think past the propaganda before we lose more of our trees, the animals who depend on them, our urban forests, etc. We are seeing places, like many parts of Marin where there is no more poisoning, so there is no excuse for poisoning elsewhere, or for even one more case of cancer or permanent chronic illness. As I’ve said so often, if the nativists want an environment without non-native species, they should first start with themselves….